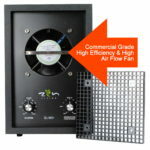 Carbon Filter is best for controlling odors. If you are more concerned with allergies then we recommend using our HEPA Filter model. Lowest price of the year! Limited time only! Latest in air purification technology! 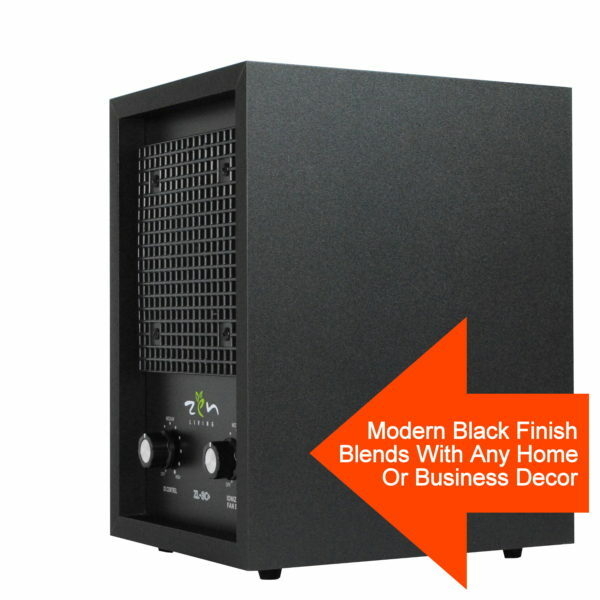 The Zen Living Professional Air Purifier with oversized carbon filter is our second generation air purifier designed specifically for indoor smokers, and those looking to eliminate strong natural/chemical odors from their living spaces. 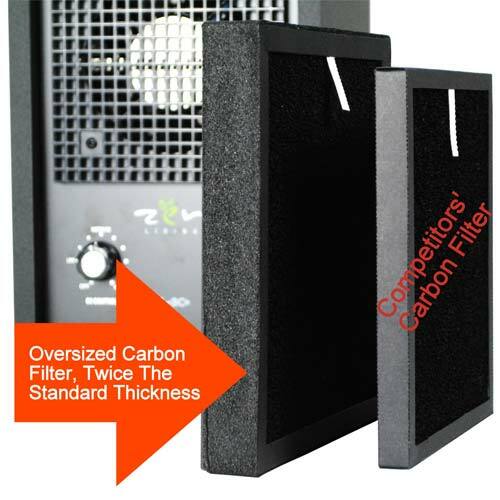 The exclusive 0.3 micron activated charcoal smoke & odor filter is now more than double the thickness of a typical standard carbon filter (1-¼” vs. ½”) and is designed to remove both smoke & odors AND dust & pollen. 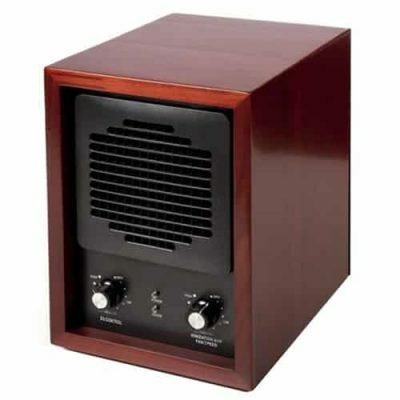 Similar wood grain air purifiers are only equipped with a simple filter which can only remove dust & pollen. 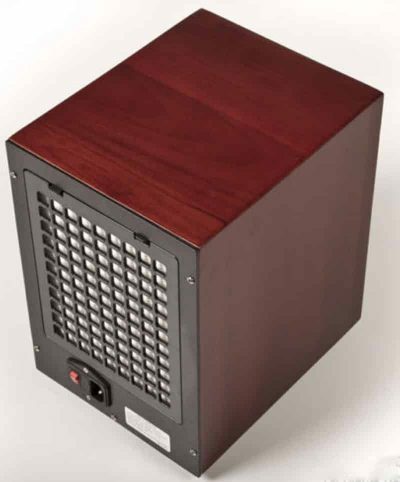 Also, the third generation negative ion emitters inside this unit are rated at an output of 8 Million negative ions per square inch, nearly double that of standard air purifiers for the best possible results. 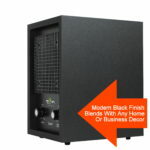 Unlike other general purpose air purifiers, the Zen Living Professional Air Purifier with oversized carbon filter goes several steps further to remove all evidence of smoke in your home, car, RV, office, gym etc. 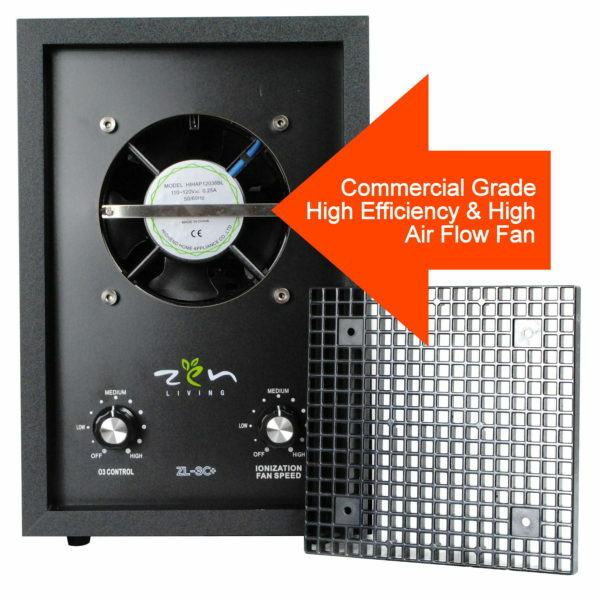 The ZL-3C+ has dual Ozone plates and the air emitted from the front grill of the ZL-3C+ has the power to remove all types of odors, even ground in smoke odors that have been there for years can be eliminated for good. Remove smoke not only while it is in the air but also after it has settled into your walls, ceiling, carpets and furniture. Same with pet, cooking, paint and any other kind of odor you may be plagued with. 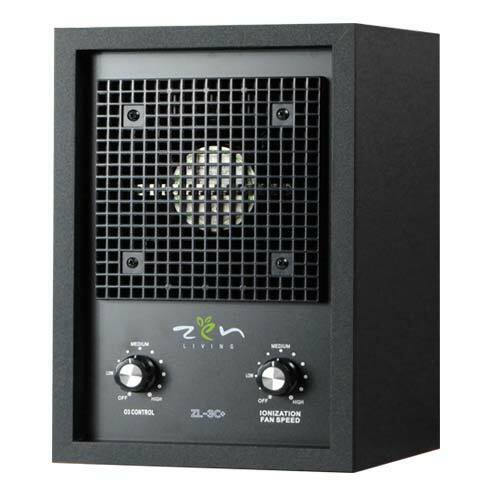 The Zen Living Professional Air Purifier with oversized carbon filter leaves your living space clean and as free from odors and pollutants as possible. 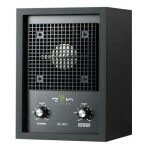 Stage 1 – 1-¼” Thick Activated Charcoal Filter: Quickly removes smoke and odors from the air. Scrubs 99.99% of micro particulate (smoke, dust particles, pollen etc.) as small as 0.3 microns from the air. 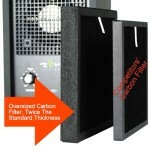 More than twice as effective as a standard carbon filter. 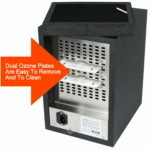 Stage 2 – Dual Negative Ionization Emitters: Effectively cleans air that does not pass directly through the air purifier. Both the RF and needle point emitters attract smoke molecules, dust, germs and bacteria causing them to collect mass until they are heavy enough to drop from the air for vacuuming. 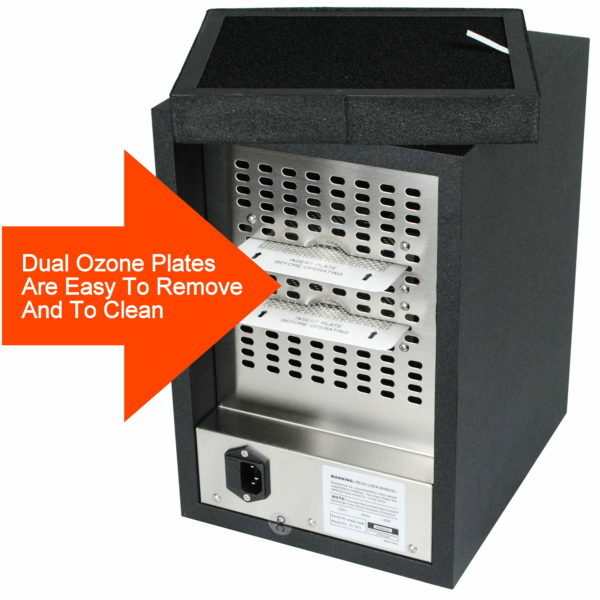 Stage 3 – Dual Plate Ozone Generation: For stubborn ground in smoke odors. 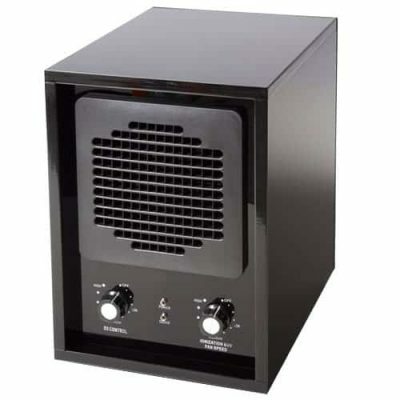 Activated oxygen is generated and emitted as the most effective killer of smoke, odor causing and health harming bacteria, mold, mildew and other micro-organisms. Use both plates for stubborn odors in large spaces, or remove one plate for less severe odors, and keep the second one on hand as a spare. 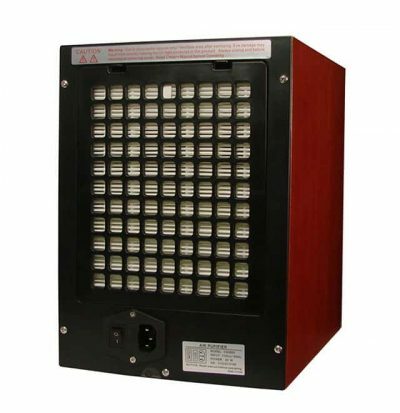 Ozone output is fully adjustable. (Certain settings are for unoccupied spaces only and not to be used at all by allergy and/or Asthma suffers while in the vicinity of the purifier). If you have any questions, please don’t hesitate to send us a message or give us a call. We are always more than happy to help. 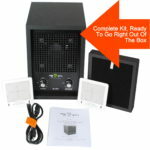 Sale Price: 299.95 Free Shipping – Best Air Purifier For Smokers And Odor Control! Do you suffer from indoor odor problems? Get relief now! 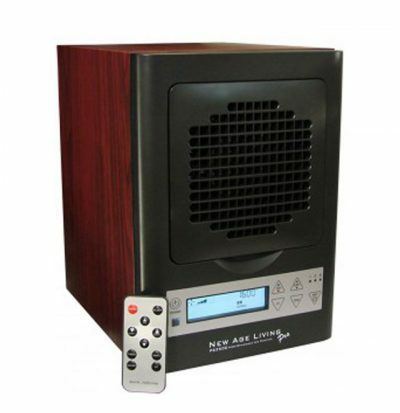 This unit significantly helps the removal of odors by moving air through the units carbon filter with it’s large air flow design. The air passes through a 3 step odor control process. The air passes through the Washable Carbon filter which captures dust, pollen and other air born pollutants that cause allergy symptoms while absorbing odors. The next stage is the UVC Germicidal light that kill all kinds of micro-organisms that can cause respiratory symptoms. The final stage is the negative ions that attract dust, germs and bacteria, collecting them until they are heavy enough to hit the ground and be vacuumed up, instead of remaining airborne and aggravating the respiratory tract. The result is you are left with clean fresh air to breathe. While the unit does have an activated oxygen feature for eliminating odors we recommend that you simply do not use this feature for fighting allergies as it may have an adverse effect on those suffering from extreme allergies or other respiratory problems. 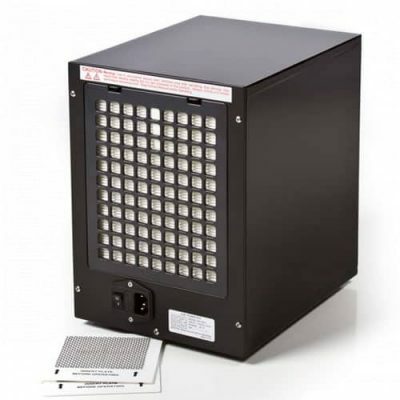 The ultraviolet light generated by the UVC Germicidal Lamp is at a wavelength of 254 nanometers and its photons have the exact energy needed to destroy the DNA of all kinds of micro-organisms, including bacteria, mold spores and viruses. In fact, ultraviolet germicidal irradiation (UVGI) with UVC was recently shown in a clinical trial to significantly reduce respiratory symptoms of office workers when installed in building ventilation systems. Because UVC light kills by physical destruction of the DNA, germs cannot mutate to become resistant to ultraviolet light (as they can with antibacterial agents); UVC gets them every time!